Passengers on board a United Airlines flight feared for their lives after the aircraft’s engine overheated en route from Costa Rica to Houston Monday. Flight 1516 suffered the technical problem soon after take-off and was forced to circle the Pacific Ocean off Costa Rica for over an hour before making an emergency landing, according to one person on board the flight. Seven fire units were at the scene as the Boeing 737-800 landed, fire supervisor Leonel Jiménez told local media. “I fly a lot but something felt weird and wrong. There for a brief moment we all thought we were gonna crash,” he said. Genessy said other passengers claimed the wing of the plane hit the runway after a gush of wind hampered the final moments of their landing. No passengers were injured in the incident and all disembarked the plane to await a replacement aircraft. In a tweet he praised the pilot for his skill in handling the situation. To answer the question you're probably asking, yes, it was a United flight. I'll give the pilot major props for keeping us alive. 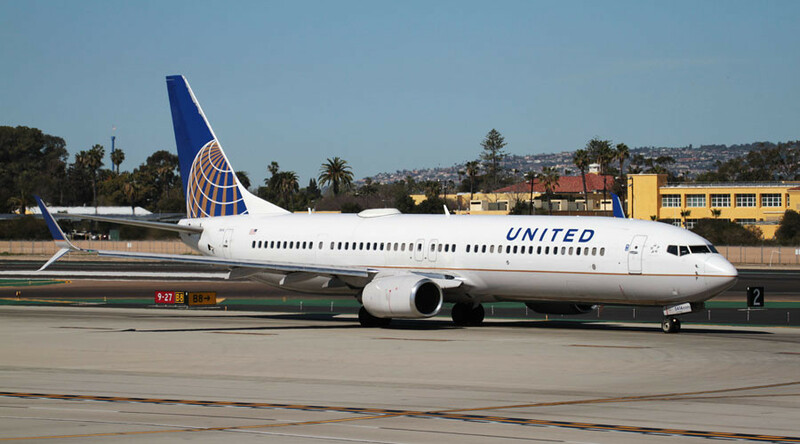 In a statement to People, United Airlines (UA) did not confirm the cause of the emergency landing, describing it as a “maintenance issue.” An apology was issued to passengers, who UA claims will be provided compensation for the inconvenience. Earlier in the month United Airlines came under heavy criticism after video emerged of a passenger being forcibly removed from one of its flights to make space for crew. Shares in the airline dropped dramatically following the incident.